Before bringing Ant-Man into the Marvel Cinematic Universe, Peyton Reed had his sights set on another Marvel property. In the early 2000s, Reed was planning to direct the Fantastic Four’s proper theatrical debut for 20th Century Fox. Reed was attached to the project for two years before leaving over creative differences in 2003. He was replaced by Tim Story, who went on to direct two films starring Marvel’s first family. Reed’s current working relationship with Marvel has allowed him to casually mention his desire to work on the Fantastic Four during his Ant-Man-related press tours. But during a recent Q&A hosted by Collider (via ComicBook.com), he provided new details on what his version of the film would have looked like. Reed explained that he wanted to make Fantastic Four as a period piece set in the 1960s, mirroring when they first appeared in the comics. He also had an interesting idea of how to approach the team’s celebrity status. “I developed it for about a year and we went through some different permutations and some different writers, but yes, one of the big ideas was a set-in-the-’60s thing that at the time was structurally gonna be basically like [The Beatles’] A Hard Day’s Night, where we were not going to even deal with the origin story,” said Reed. Fox attempted a Fantastic Four reboot in 2015 with Josh Trank-directed film starring a much younger cast. It was met by a harsh backlash, and flopped at the box office. While Reed hasn’t had any discussions with Marvel about doing the Fantastic Four, he didn’t rule out the possibility. 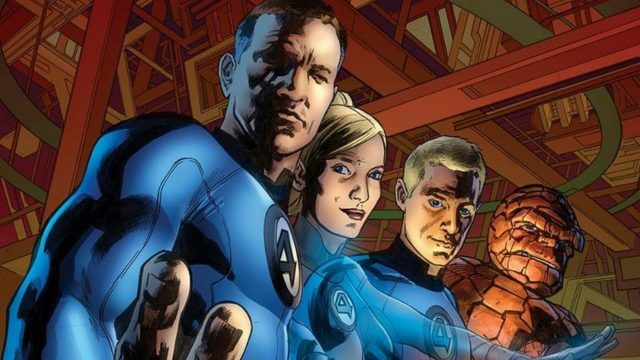 Would you like to see Peyton Reed get another shot at a Fantastic Four film? Tell us what you think in the comment section below!